Recently, I made an Avalon Line Semi Open Coach. When I build kits I often assemble them, then paint them. 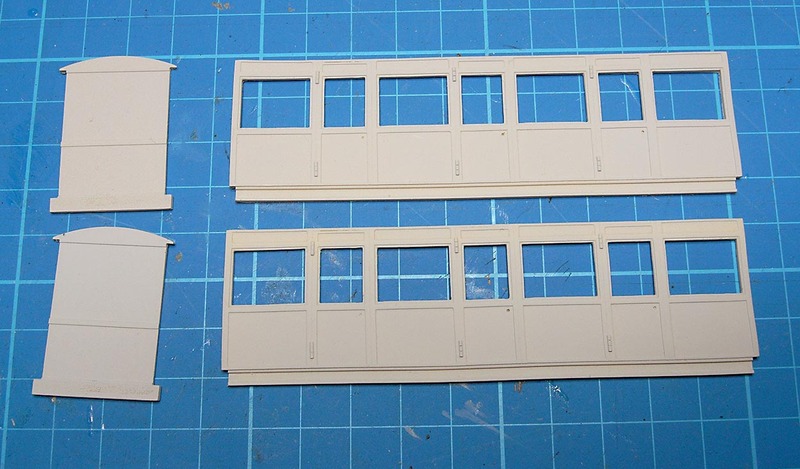 I’d found painting the completed semi-open coach rather fiddly. So for my closed coach kit I decided to paint the parts and then assemble them. First of all I sprayed all the parts with primer. 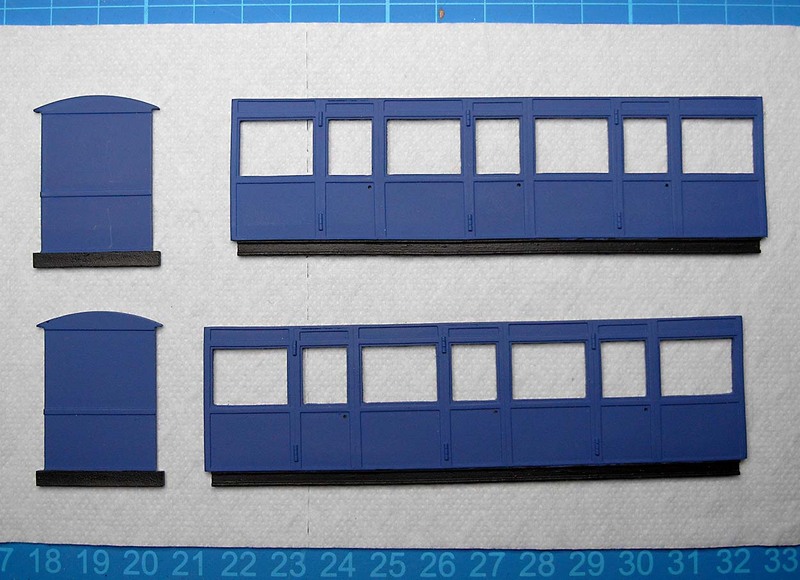 I want to fit some 7mm Narrow Gauge Association coach door handles. I drilled holes for the handles and test fitted them. They look good. Perhaps a little big, but I like them. 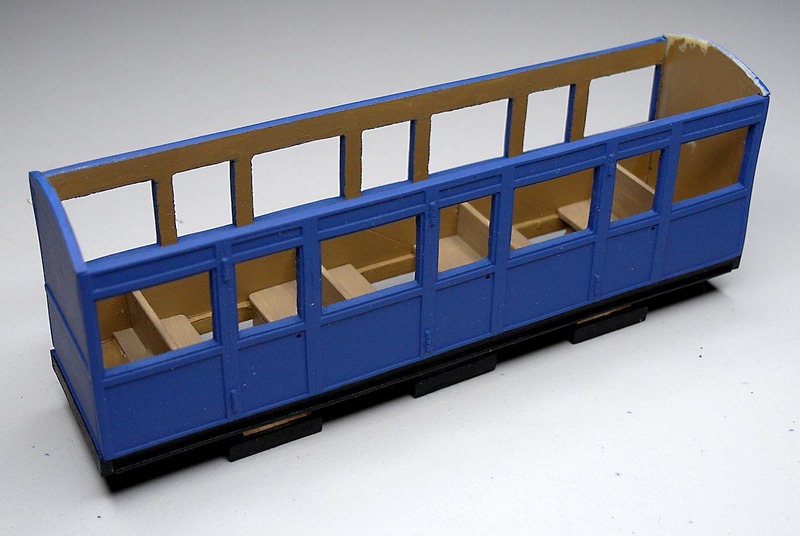 Next, I masked off the places where I would have to apply glue to assemble the kit, and I painted the interior of the coach. Then I assembled and painted the chassis, foot wells and seats. It’s a bit rough but it will be hidden inside the coach. 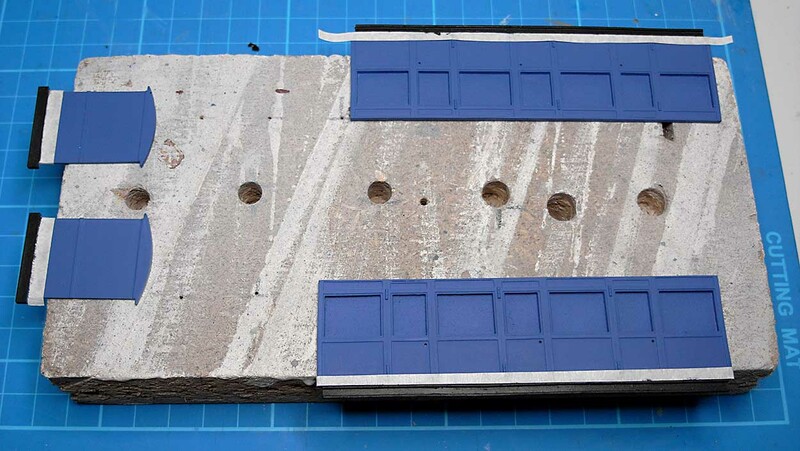 …and sprayed the parts with Macragge blue from Citadel. (Sorry for the blurry photo. I got excited by the blue). 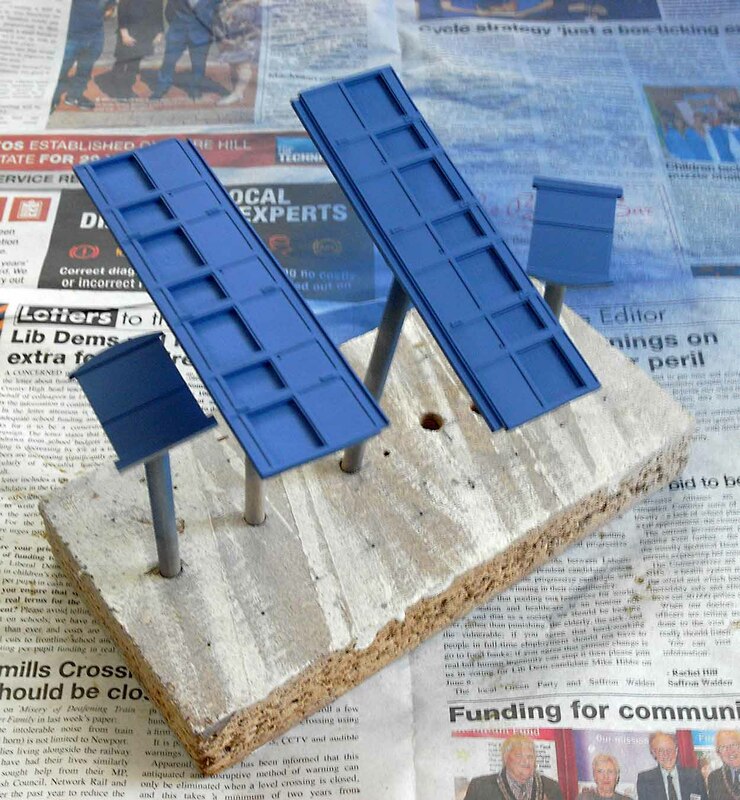 To paint the solebars and head stocks I masked off the edge of the blue paint and splashed on some Humbrol dirty black. When I stripped off all the masking tape, things were beginning to look good. Then it was a pretty simple job to glue the sides and ends to the chassis assembly. I lightly tacked one end and side in place with very small amounts of super glue. Then I repeated the process with the other end and side. It only took a minute or so for the glue to dry and, luckily, everything was looking good. Finally, I reinforced all of the joints with some expoy glue. I find this much more durable than superglue. 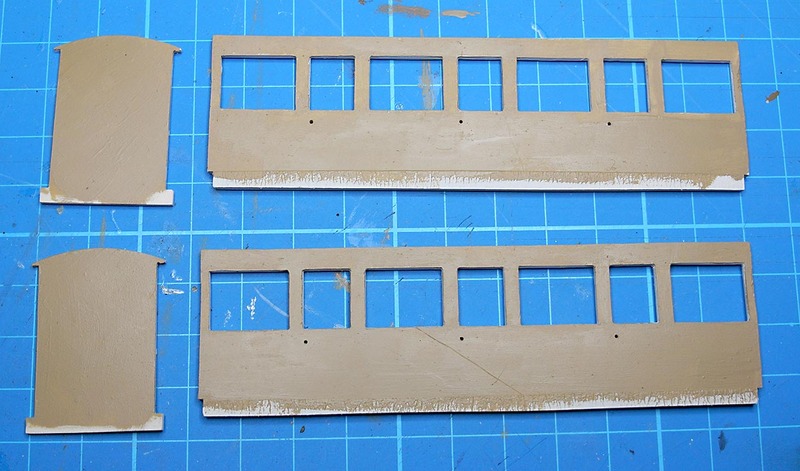 There are a few jobs still to do: applying decals, adding windows, painting some passengers, weathering and varnishing. I will get round to these at some point in the future. 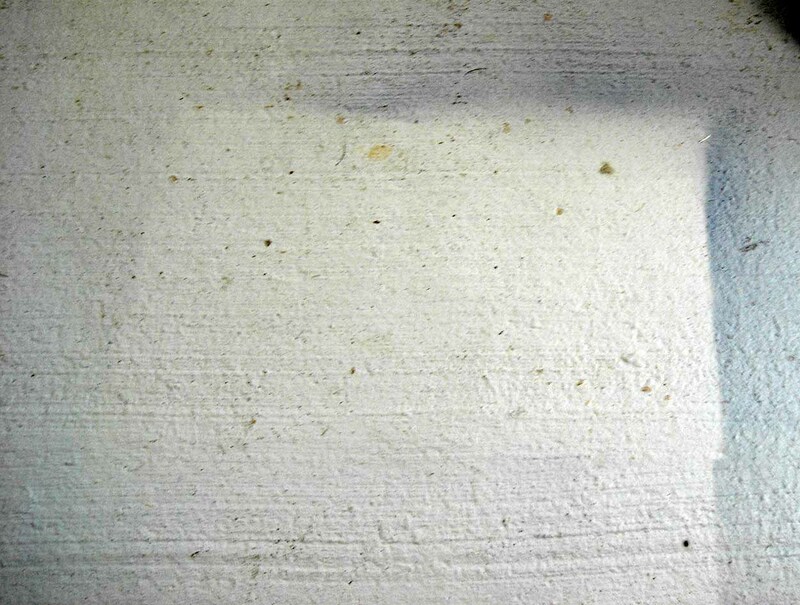 For now, I lodged the roof in place and took a photo. Looking good! It’s certainly going to be a colourful railway Steve – you’re making it seem very tempting!!! Time to get on with that new layout you were showing me. See you at the end of the month. Happy New Year to you and yours. Hi David, Yes colourful is the word! Perhaps I should limit my colour palette… 🙂 Things are progressing, but it was slow over Xmas – too many mince pies! A very happy and enjoyable New Year to you too.